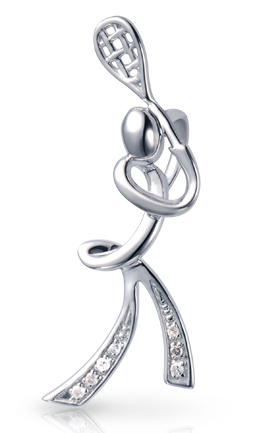 The Backswing Pendant features a squash player ready to take a backhand shot. The Backswing Pendant is 925 silver. 7 small diamonds are set in the legs of the squash player.